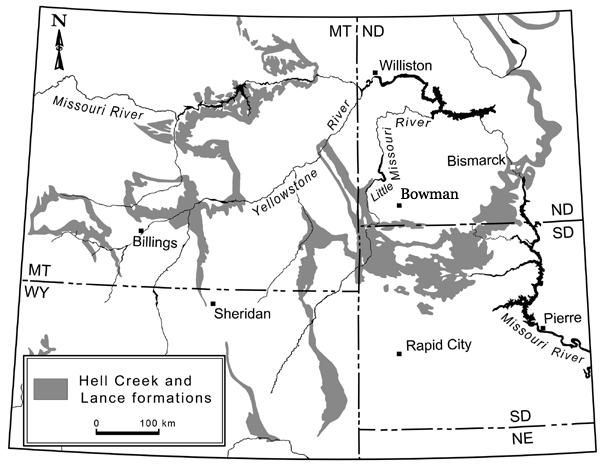 On Tuesday, June 9th, the PBMNH paleontology team departed for the 2015 field season. Follow their progress both on our Blog and on the Museum's Facebook page. Additional updates and photos will appear here as the are received. 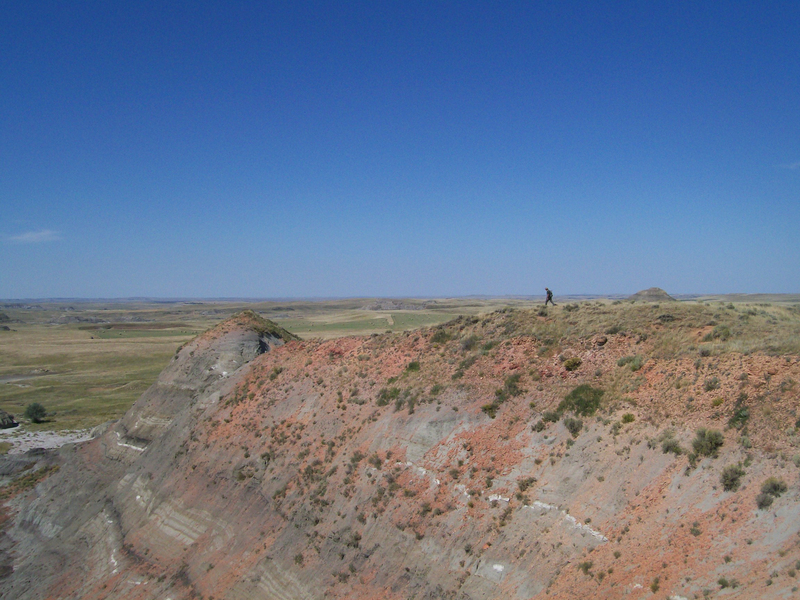 This year the team is again working in the Hell Creek Formation as it outcrops near Bowman, North Dakota. 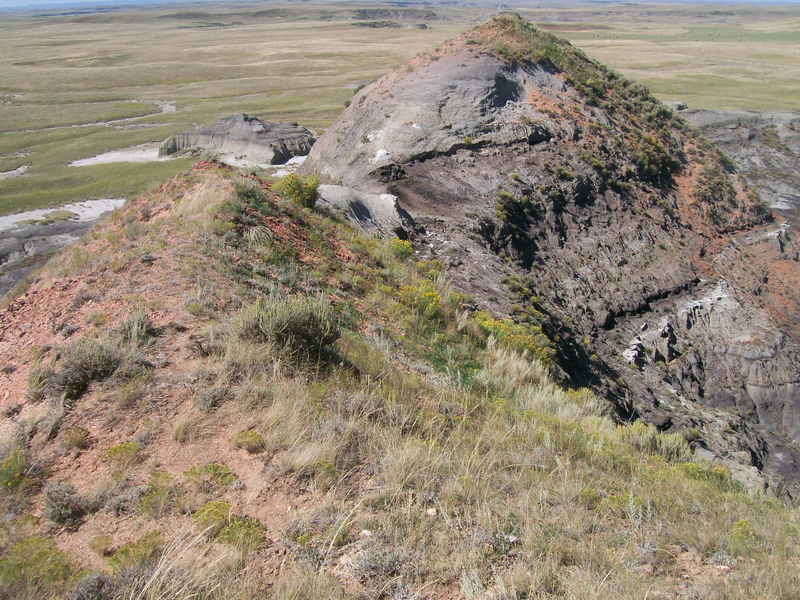 Of particular interest are the many exposures of the Cretaceous-Tertiary (KT) boundary that are seen as a thin dark band along the sides of many of the areas bluffs. 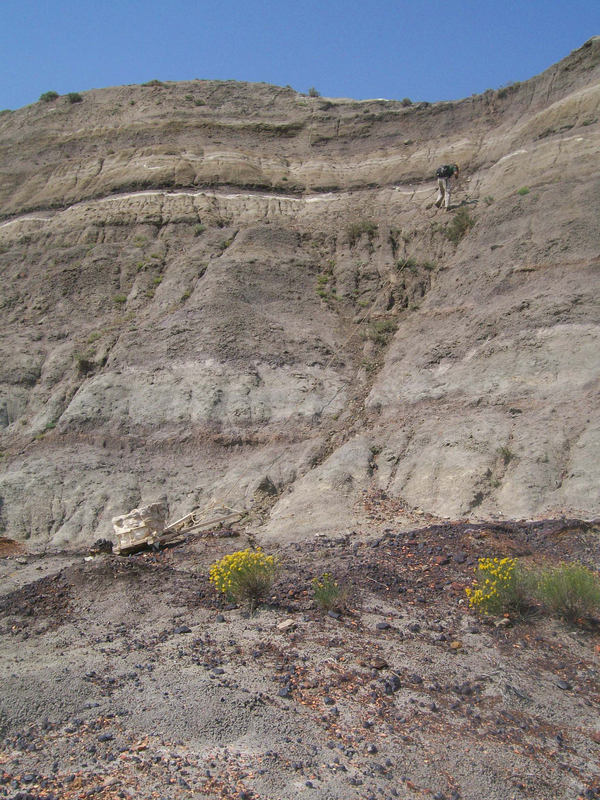 This is the layer of sediment that was laid down as the result of the asteroid impact that brought about the extinction of the dinosaurs 65 million years ago. 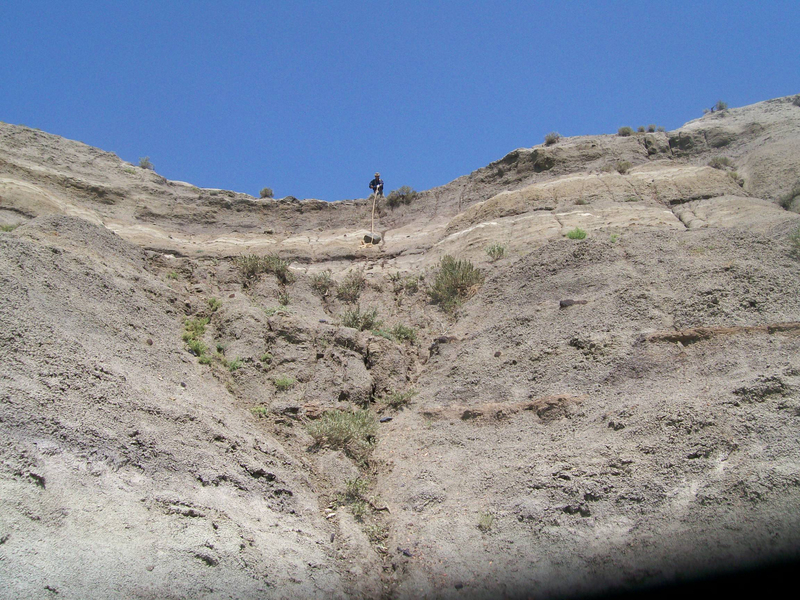 In 2013 our team scaled 120' up one of these bluffs to recover a cubic meter of the KT boundary in order to return it to Florida for further study. 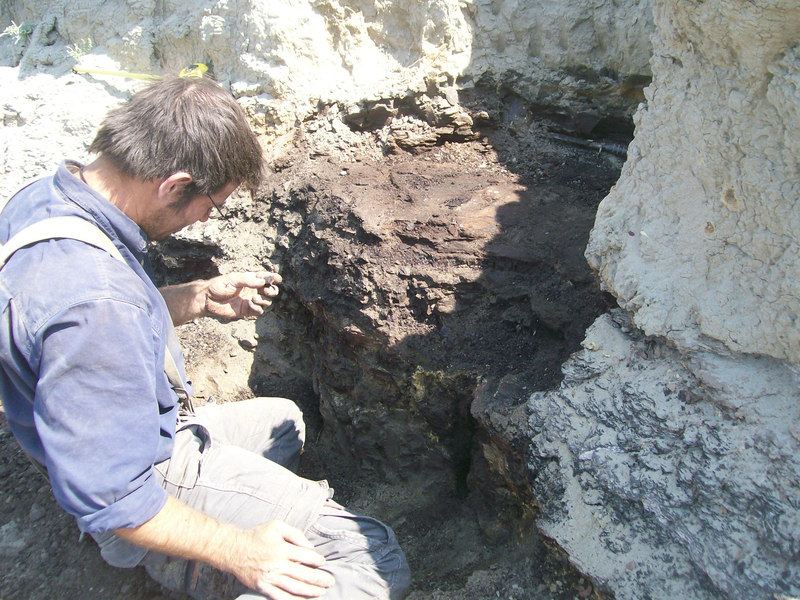 Curator Robert DePalma excavating the block sample. 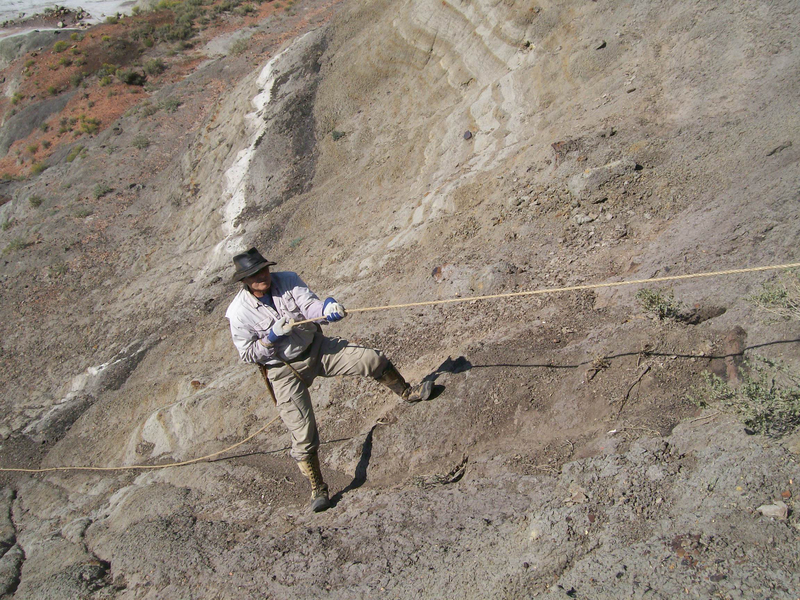 After driving two metal pipes into the ground near the edge of the saddle to act as anchors for repelling ropes, the block was lowered over the side followed by one of the crew to assist it over any irregularities in the bluff face while a second member of the team guided the rope from above. Repelling down the bluff - "Yes! We call this paleontology." The exposure was located in a saddle between two peaks and could only be reached by scaling the walls of the bluff that were sloped at approximately 45 degrees. 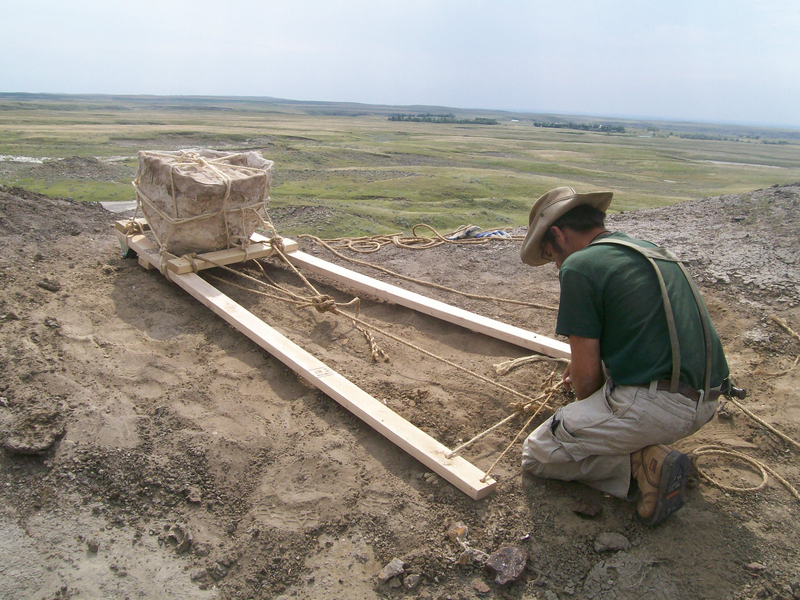 After carving out our sample, a wooden skid was prepared to which the block, now protected in a plaster jacket and weighing several hundred pounds, was securely tied. Once on the prairie floor, the block, still attached to the skid, had to be transported over rough ground to the vehicles that were over one mile away.